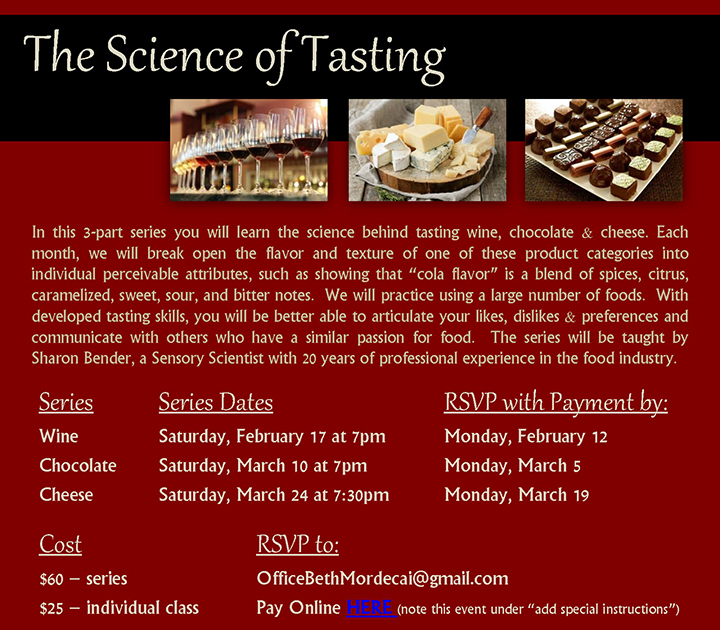 Join us for a fun 3-part educational series that will enhance your tasting skills. 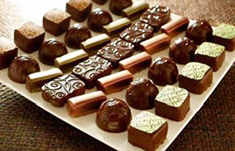 In this 3-part series you will learn the science behind tasting wine, chocolate & cheese. Each month, we will break open the flavor and texture of one of these product categories into individual perceivable attributes, such as showing that “cola flavor” is a blend of spices, citrus, caramelized, sweet, sour, and bitter notes. We will practice using a large number of foods. With developed tasting skills, you will be better able to articulate your likes, dislikes & preferences and communicate with others who have a similar passion for food. The series will be taught by Sharon Bender, a Sensory Scientist with 20 years of professional experience in the food industry. Saturday, March 10 at 7 p.m.
Saturday, March 24 at 7:30 p.m.